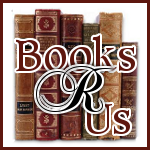 I would like to welcome Heather Frost to Books R Us. Heather is the author of the novel Demons (The Seers Trilogy) . Thanks for stopping by. I’ve often had aspiring authors ask me this difficult question: How do you know if you have what it takes to be an author? This is probably one of the hardest questions to answer, because there really isn’t a cut and dry answer. And the only one who can really find the answer is you: the individual writer. I know—not very helpful. But what I can do is make a short list of some qualities that I believe a serious author needs in order to succeed. Talent. Now, don’t misunderstand this one! I’m not saying that you have to be a brilliant writer with perfect command of the language by the time you write your first story. What I am saying is that you need the talent of story-telling. You need to be able to imagine new worlds, characters, and possibilities. This requires an especially agile imagination. You can learn all the elements of story-telling, but if you don’t have the instinct, or the desire to tell a story, you’re not going to be able to write a successful book. How do you know if you have this ability, this talent? You share what you’ve written. Maybe with a trusted friend, and then another. Slowly, you get feedback. You learn your weaknesses and strengths through criticism, and—though painful sometimes—it’s the only way to improve. You’re not going to know if you’re succeeding as a writer until you finally share your story with someone else, and get their response. Sharing your work is especially important, because it is also the way you find out if you can handle rejection or not. Rejection is a painful, but large part of being an author. If you can’t take rejection, you should probably go find yourself another career. The only way you get accepted is by wading through rejections. Sure, it hurts, and it’s disappointing—but the day you stop getting rejections is the day you stopped trying for an acceptance. The best advice I can give here is this: don’t give up. Pick your favorite author, and know that even he or she was rejected at least once—generally a lot more than once. This slides nicely into dedication. It takes an insane amount of self-discipline to be an author. You have to write, even when the blank screen is staring you down, taunting you. You have to be dedicated enough that you make time to write, and time to research your publishing options. Both can be enormously time consuming, and daunting—but they are mountains a writer will always be climbing. A final thought: If you want to write, write. Give it your best, and never give up. Everyone deserves the chance to follow a dream. Don’t become so overwhelmed with the “rules” of writing and publishing that you never dare to try.